This is a five piece focal grouping. All five pieces are included. It is made with Venetian glass in southern California. It's appearance is that of molted glass swirls with a center of purple then black and shimmering beige grey and brown accents. 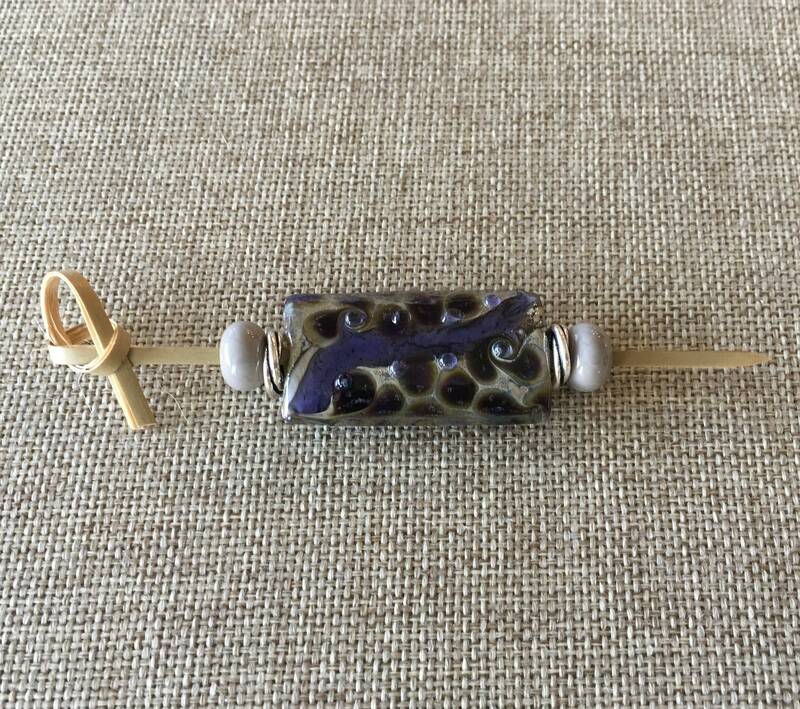 The stone gray spacer beads are handmade from Ventian glass in southern California. To complete this five piece set I've added Tierra Cast swirl spacers in antique silver. Make it your own by selecting your own peanut beads and seed beads!